Mabula Timehare retained 4* status again for 2018 from Tourism Grading Council of SA with an above average score of 81%. We also retained our Gold Crown status at the Annual RCI Awards in March with convincing scores from our owners and guests in all categories. 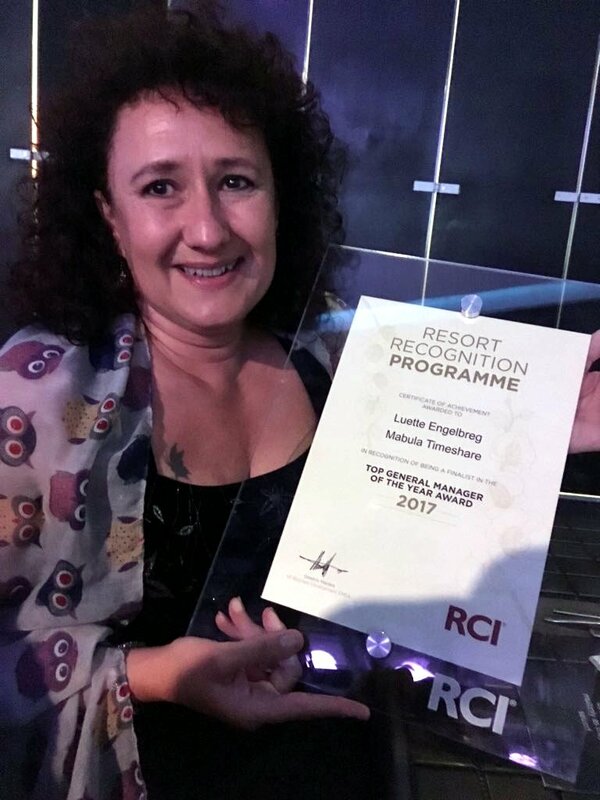 Luette was also awarded Finalist in the RCI Top General Manager of the Year Award 2017, making the top 5. Mabula Timeshare was the Regional Winners at the Lilizella Awards for 2016 in the Self-Catering, Shared Vacation Category.